I am the land from the Mediterranean Sea to the Jordan River. I am the home and only home to my children the Palestinians. Poets celebrate my beauty, my culture and the courage of my children. Painters sing to me their love, devotion and yearning. Al-Quds is my beating heart. Haifa is my pearl on the Mediterranean. Yafa is my heaven of oranges and Jasmines. Acca is my haven of white domes. Beer Is-Sabe’ is my princess of A-Naqab. Nablus is my mountain of revolution. Gaza is my dignity, my courage and my steadfastness. Jenin is my resistance, my home of legends. Safad is my daughter reaching out and embracing the sun. Al-Khalil is my guardian of glory. Beesan is my home of history, my roots reaching deep in time. 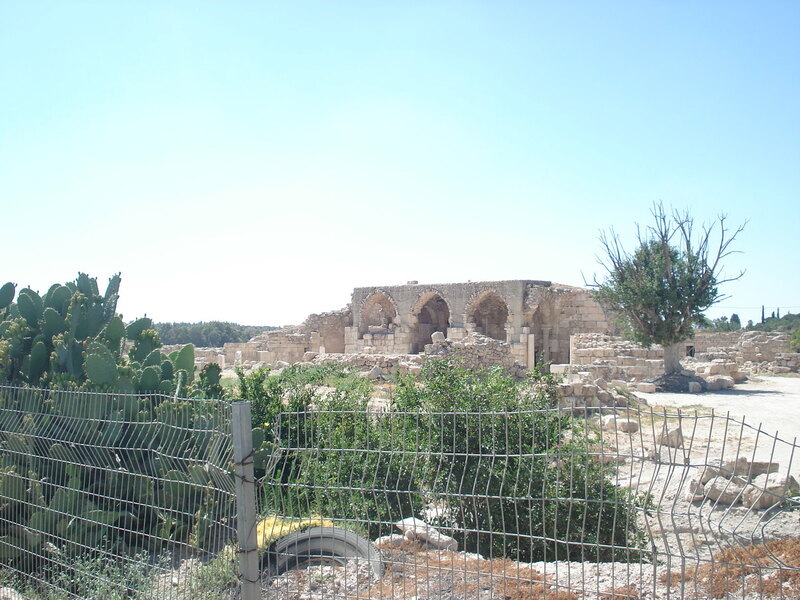 Beit Lahim is my oasis of tranquillity. Ar-Ramlah is my endless love of the olive tree. Tabaria is my home of revolution against oppression. Tulkarim is my sea of green and golden meadows. I am the mother of thousands of villages and towns and Bedouin localities. I am the mother of 531 villages and towns that were erased off the world map, but not erased from my heart. I am the mother of 531 villages and towns forgotten by the world, but engraved in the collective memory of my children. I am the mother of 531 villages and towns demolished and turned into ruins, but every stone is waiting to be rebuilt, every home waiting to be brought back to life. I am the mother of tens of thousands, of millions of Palestinians. I am the mother of the martyrs, the prisoners and the revolutionaries. I am the mother of the farmers, the fishermen and the workers. I am the mother of the writers, the poets and the painters. I am the mother of heroes, the mother of legends, the mother of a mighty people. I am the mother of those steadfast in my land, caring for the land, protecting the land. I am the mother of those holding on to the gun, to the stone, to the slingshot. I am the mother of those raising my four colours high in the sky, celebrating my red, my green, my white and my black. I am the mother of a people who refuse to surrender, refuse to forget and refuse to forgive the injustices done to me and to them. I am Palestine. Then one day, the sun stopped laughing for me, hid behind the clouds in shame. The birds stopped flirting with me, their voices a whisper of fear. The waves stopped playing with me, roared in rage at the injustice that was to come. One day, one dark day, the laughter of my children disappeared from the alleys, the ahazeej in the villages spoke of buying a gun instead of a necklace, a bullet instead of a ring, the singing of my fishermen was silenced. One day, the land cried tears of blood while the world watched. Haifa bled, Yafa bled, Acca bled, Nablus bled, Safad bled, Gaza bled, Ar-Ramlah bled, Jenin bled, Beer Is-Sabe’ bled, Safad bled, Al-Khalil bled, Beesan bled, Beit Lahim bled, Tabaria bled. One day, my heart, Al-Quds, bled, and I cried tears of blood, and 64 years later I still bleed while the world continues to watch. The skies revolted and the earth revolted and the birds revolted and the flowers revolted. ﻿﻿﻿One day, one dark day, the Zionists came and expelled my children. They pushed them into the Mediterranean, pushed them into the sea. They forced them under the scorching sun out of their homes into the unknown, left them to walk days without water or food, barefoot and under sniper fire. Time stopped, justice was held captive and consciences died, for my children’s songs have been replaced with their cries, with their moans, with their tears. The tears of my children turned into stones, turned into their weapons against injustice, became their symbol of resistance against oppression. They forced my children out of their homes, and the homes still weep for them. They forced my children out of their fields and groves, and the fields and groves refuse to forget the hands that planted them and cared for them. They forced my children out of their land, away from their mother, away from me. And I remember every one my children. I remember their names, their faces, their dreams, their hopes and their songs. I remember every one of them, for every one of them is part of me, every one of them is a Palestinian. I call out their names every sunrise, every sunset, every hour and every minute. And when my children were expelled from their homes, were taken away from me. I remember how they clung to me, stronger and stronger they clung to me, for their roots were connected to me, they were my veins of life. And as they disappeared in the distance, I could feel them clinging more to me, holding on to life despite the death that surrounded them, I could hear the sky and the sea echoing their cry, echoing their promise: We Shall Return! My name is Falasteen. I was the home, the haven, the paradise on earth to all my children: Muslims, Christians, Jews and atheists. My children lived together, side by side, were brothers and sisters, were neighbours, were friends, were members of one big Palestinian family. They worked in the fields together, they built warm homes, beautiful mansions, artistic arches, green parks and lively markets. They changed words into heavenly music, and letters into traditional tales and wisdom into achievements. My alleys and streets echoed the laughter of my children. My homes carry the marks and the names on my children. My fields and groves were watered by the love, sweat, and blood of my children. They were all my children and I, Falasteen, was their mother, their home and only home. Then one dark day, the Zionists came from far away and claimed, and still claim, that I was empty. They claimed I was a deserted land, a land ‘without a people for a people without a land’. They claimed that my children were ‘non-existent’, an ‘invented people’. They brought aliens from far away countries, brought them to usurp me, to colonize me, to take my children’s place. They came and pushed my children into the sea, they came and massacred my children. They looted the homes, fields and properties of my children. They came and destroyed my paradise, they came and established an entity that is fake, that was dying before it was born, an entity that is fake and built on lies and myths, an entity that is racist built only for one race, for one chosen group. They came and established an entity on the bodies of my children, on the ethnic cleansing of the indigenous people of this land. They stole my culture, my books and my songs. They stole my architecture, my homes and my dances. They stole everything that is mine, but I have courage, dignity and pride planted in the hearts of my children. They stole everything that is mine but my children hold on to me, at home and in the forced exile, and repeat one word: We Shall Return! 1882-1914: 65,000 European Jewish colonists came to colonize Palestine. 1920-1931: 108,825 Jewish colonists came to colonize Palestine. 1932-1936: 174,000 Jewish colonists came to colonize Palestine. 1937-1945: 119,800 Jewish colonists came to colonize Palestine. ﻿﻿ My name is Falasteen. I was a paradise on earth, I was a piece of heaven. I was a sea of white blossoms and red poppies and green meadows. My green olive fields were limitless, my golden wheat fields reached to the horizon. My orange groves teased the blue sky. I was known as the ‘ocean of wheat’ and the land of the oranges. My water was pureness, my valleys fertile, my forests majestic. My children worked the land, watered the olive fields, the orange groves, and cared for the vineyards and carobs and fig trees. Then one day, one dark day, the Zionists came from far away and claimed, and still claim, that I was a desert. They claimed ‘they made the desert bloom’. They claimed they created ‘rivers of honey and milk’ where ‘drought and aridness’ reigned. They came and destroyed my fields and my forests, uprooted my olive trees, and stole my orange groves and claimed them theirs. They came and changed my paradise into a barren land, changed my heaven on earth into a desert. They built illegal misshapen colonies and parks were my beloved villages once stood. They established one-race-roads and highways where my olive, apple and almond fields once blossomed. They built walls and barriers were once my forests reached to the sky. They dried up my rivers and my lakes and creeks to water their European gardens and fill their swimming pools. They polluted my earth, my water and my air. They distorted me, disfigured me and want to kill me. But my children keep me alive, for my soul is their soul, my body is their body, my blood is their blood, and as long as my children are steadfast in this land, I will forever remain alive, I will forever exist. 1945-1946: Palestinians owned 87.5% of the total area of Palestine. Jews owned only 6.6% of the total area of Palestine. The remaining 5.9% was classified as “state land” by the British Mandate government. 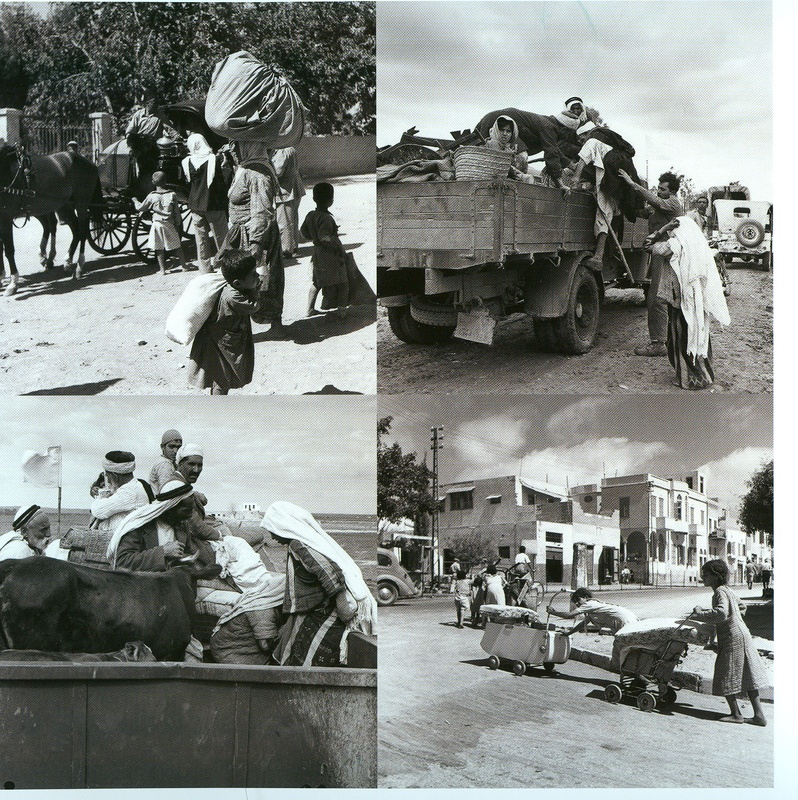 1942: Palestinians were responsible for 90% of the grains and legumes produced in Palestine. 1943: Palestinians were responsible for 73% of the fruits produced in Palestine. 1944/45: Palestinians were responsible for 77% of the vegetables produced in Palestine. ﻿ ﻿ My name is Falasteen. One day, the Zionists came and usurped me. They colonized me, carried out an organized and a pre-meditated ethnic cleansing in my tons and villages, forced my children out of their homes, destroyed 531 of my villages and towns, and then claimed that my children ‘did not exist’. They terrorized my children, blew up schools, homes, cafes, hotels, markets and neighbourhoods, massacred and imprisoned my children, raped my daughters and then claimed that my children were the ‘terrorists’. 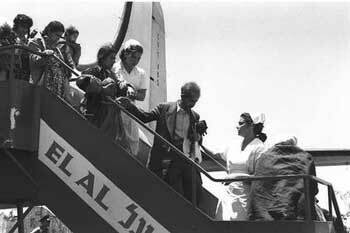 They forced my children into exile, pushed them into the Mediterranean, forced them under gun point towards the Jordan before bombing the bridge and then claimed that my children wanted to ‘throw the Jews into the sea’. They celebrate the crimes and the massacres they commit against me and against my children every year. They forbid my children to mention me, to shout out the names of the victims, to write down the list of massacres committed. They deny my people the right to mourn their massacred brothers and sisters, the right to return to their homes and villages. They allow every Zionist to come and colonize me, and allow every Zionist to steal my children’s home. They fly in aliens from all over the world and claim me their ‘birthright’, when their birthright is in Germany, Russia, the US, Ethiopia, the UK and Ukraine. They claim my children are ’intruders’ and deny them their legitimate right to return to their homes, to return to their birthright, to return to me. My name is Falasteen. One day, one dark day, the Zionists came to usurp me, to colonize me, to kill me, to claim me theirs. But my children held on to me, resisted the invaders, resisted the colonizers, and fought for me, fought for their homes, their land, for their heritage, their groves and fields, their birds and flowers. My children refused to leave me alone with the usurpers, refused to let them kill me. They fought bravely, men and women, young and elderly. They faced the Zionists who were fully armed with modern weaponry, racism and hate, while my children were only armed with their love for me, their honour, dignity and their belief in justice. They fought till the last bullet and many fought till the last breath. And while my children were snatched away from me, were thrown out in the dark, in the cold and into the roaring sea, I cried out for my Arab brethren to save me, I cried out for the world to keep its promise of ‘never again’. And I cried out in vain, for they all became blind, they all became deaf, they all lost their ability to talk or to act. And while Zionist aliens massacred my children, expelled them, destroyed and looted their homes and properties, the world ignored me, ignored my suffering and ignored my people’s Nakba. And while my villages and my fields were being erased, my name deleted off the map, those who call themselves my brethren betrayed me. Openly they announced in the loudest voice that my honour is their honour, that my loss is their loss, that my safety is their safety, that they won’t allow the invaders to touch me, and they openly promised to send their armies to rescue me. And secretly, they sold me to the invaders, divided my body into a million parts and sold me a million times. Secretly, they gave orders to their armies not to protect me, not to intervene while my children were being butchered, expelled, their homes demolished over their heads. And while my children were dragged away from me, were pushed into the sea, I cried out for them and they promised to return, they swore to return. 64 years later, I still wait for them. Al-Quds awaits my children to bring down the walls that have kept her captive. Acca eagerly watches the sea all day long and awaits the return of the boats filled with my children. Jericho counts the hours and the minutes and awaits the return of those forced east. And I tell Al-Karmel and Marj Ibin “Amer that the return journey started the day my children were expelled. I tell Beesan and Safad and Beer Is-Sabi’ that the return march is growing and the marchers are getting closer and closer. I tell the world that all your might, all your weapons and all your injustice will not be able to stop the march of my returning children. I tell the world that the day when my children return is the day when I am free, is the day when justice will finally prevail in this world. I tell the Zionist usurper entity that your terrorism, your massacres, your bullets, your bulldozers, your walls and your bombs will not break the will of my children, will not kill me, for I will continue to resist, I will continue to exist, I am here to stay because this land is me. I am Palestine from the River to the Sea, from Ras In-Naqourah to Im-Ir-Rishrash. Ana Falsteen min il bahar lal nahr, min Ras In-Naqourah la Im-Ir-Rishrash. My name is Falasteen. I am the land from the Mediterranean Sea to the Jordan River. I am the home and only home to my children the Palestinians. One dark day, the Zionists came and usurped me, killed and expelled my children and demolished my homes and villages. 64 years later, it’s time for justice, it is time to break the chains of occupation and oppression, it is time for my children to return, it is time for my villages and towns to breathe freedom. 64 years later, it’s time for Palestine to be free.